Virtually no better way to view and buy art! 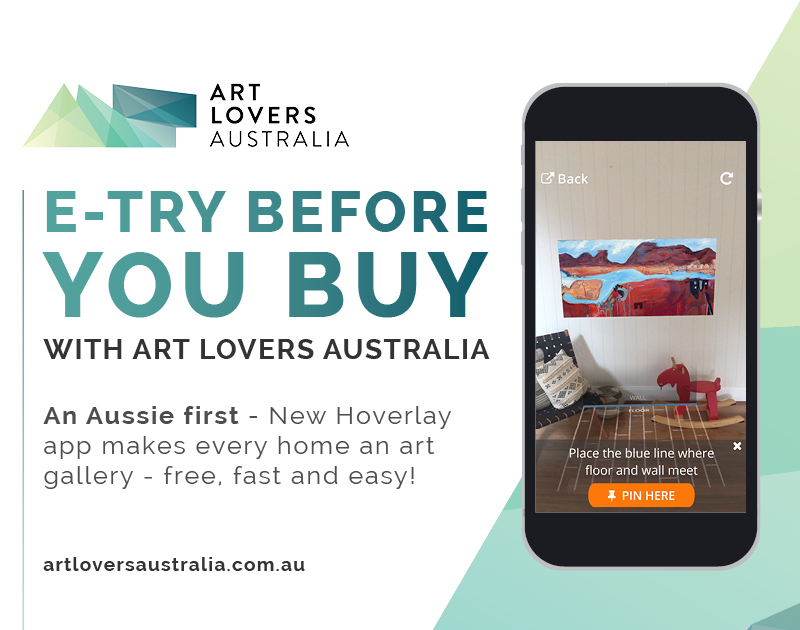 Now, with an Australian first augmented-reality app created by Hoverlay, you can see exactly how an art piece will look in your home or office, simply by using your phone or tablet. We believe the success of the business comes from its unique value for buyers and artists alike. “Art Lovers has a lot of clients who have followed us for a long time so when they are renovating or wanting to revamp their space, bring some different energy in, they trust us and come back to the site.